No kekahi o kakou ka pilikia malaila pu kakou a pau. Should one of us get in trouble we will all go that way. Before Margaret can take a stand, she has to take a road trip in a 1824 coach with her maid, driver, coachman, valet, and four armed outriders. 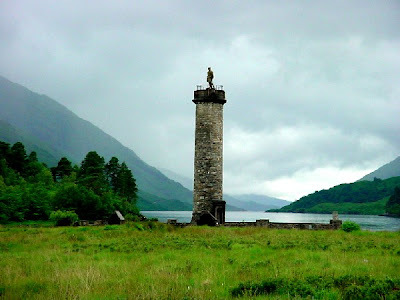 The coachman estimates it will take three to six days to travel from Glenfinnan to Loch Awe. Today, it would take two hours via Fort William and Glen Nevis (link to Google map). Two hours gives me just enough time to read A DEVIL'S HEART. 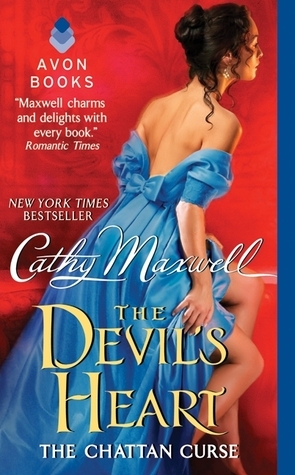 But a six day coach ride allows me to read Cathy Maxwell's entire library of 24 novels and 6 novellas in anthologies ... so I would jump in the coach with Margaret! Amazon Mass Market Paperback: $4.98 link. B&N Mass Market Paperback: $4.98 link. 1. Leave a comment about road trips - how do you entertain yourself? Read a book? listen to music? Watch a movie? 3. Comments are open through Saturday, March 30, 10 pm in Hawaii. I'll post the winner on Sunday, March 31. Kim: You hail from Atlanta! What is your favorite sight, sound, and smell of The Big Peach? Jennifer: Thanks so much for hosting me today! While I WISH my favorite sight boasted a soothing beach and beautiful sunset, as yours no doubt does, my favorite Atlanta sight is easy: I travel a lot for my day job, and I absolutely love the sight of Atlanta's familiar, jagged skyline as I drive back home from the airport. When I see those skyscrapers rising up, I know I am just a few minutes away from my family. And favorite Atlanta smell? I confess I love the smell of ripe peaches, as cliche as that sounds... and Georgia peaches are my favorite variety in the world. Unfortunately, they are only in season May-July, so I am usually shoving as many in my mouth as I can during those three blissful months. Kim: How did a Veterinarian and infectious disease researcher become a romance author? Did any part of your scientific training help you in writing romance? Jennifer: My day job as an infectious disease researcher at the Atlanta-based Centers for Disease Control and Prevention is wonderful, but it can also be challenging. Reading has always been a welcome escape, but over time I found it wasn't enough. In some ways, I suspect I became a fiction writer because I needed something to stimulate the creative side of my brain that was languishing on peer-reviewed journals with names like "American Journal of Tropical Medicine and Hygiene". I gravitated toward Romance because it is what I prefer to read. I think my scientific training helps me with the research that is such an important part of writing historicals. It has also helped me better manage the criticism that comes with writing for a diverse audience -- it was a bit eye-opening to realize there is every bit as much of a peer review process for fiction writers, only it usually isn't anonymous! Kim: Can you share a squeal moment as a two time Golden Heart (GH) finalist? Jennifer: Oh, I can do better than that... I can share the Jim Beam (my favorite adult beverage) along with the squeal! During my first GH final in 2011, I showed up at the conference knowing hardly anyone, but toting a little bottle of Jim Beam around in my purse. When they announced the winners, that bottle was tipped up and then passed around the table to console the other non-winners, too. In 2012, it was almost expected I bring the bottle, only this time I had three critique partners and a whole lot of friends to share the non-winning swig with. In hindsight, it was for the best. 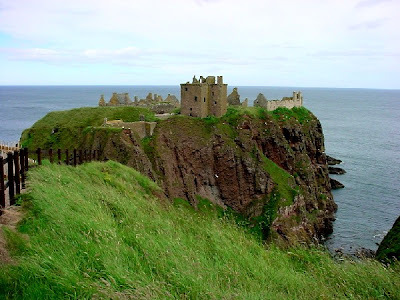 My debut novel, WHAT HAPPENS IN SCOTLAND, was written after those two GH-finaling books, and I am so glad this will be the one to introduce me to readers. I have a quirky sense of humor, and I enjoyed letting it fly with this book. In fact, sometimes I have to pinch myself that I am getting published for writing the very snarky retorts and witty dialogue that would have once landed me in trouble in high school. Kim: Tell us about WHAT HAPPENS IN SCOTLAND - what inspired it? Jennifer: WHAT HAPPENS IN SCOTLAND is your typical "she woke up married" story... only based in 1842 Scotland. It is a fun romp that will (hopefully) keep readers guessing to the end, and it was an absolute blast to write. The idea came to me as I was heading to Vegas to celebrate my 40th birthday, and it occurred to me in one of those "gee whiz" moments that I had never read a historical that tried to do this. I wrote it in two months, and it just poured out of me onto the page. The heroine, Lady Georgette Thorold, wakes up in bed next to a handsome stranger. Presented with the disturbing evidence of what she might have done, she runs for it... only to realize she must track the mystery man down and press him for an annulment. James MacKenzie isn't sure if he's married or not... all he knows is that the beautiful woman he thought he was protecting has clocked him over the head with a chamber pot and run off with his life savings. Each must piece together the clues of a night gone wrong... and pray that it doesn't get worse. While some readers might indignantly claim, "That couldn't have happened! 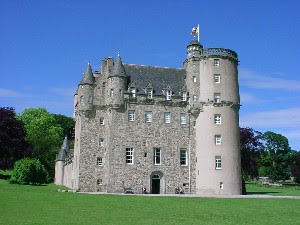 ", I humbly present the Scottish marriage laws for debate, which in the 1840's were very different from those in England. 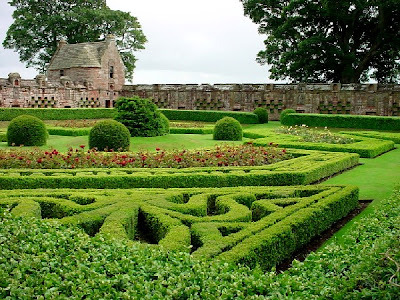 In fact, Scotland's lax laws on irregular marriages prompted the popularity of Gretna Green as the go-to place for those seeking to elope, and resulted in the occasional abduction and forced marriage of naive young heiresses. The laws of the time enabled anyone to be married at anytime by a citizen witness... and oddly enough elevated the status of the local Scottish blacksmith to matchmaker! Kim: What's next for Jennifer McQuiston? Jennifer: WHAT HAPPENS IN SCOTLAND is the first in a three-book series. The next book is still untitled, but it is an unrequited love story featuring a tortured hero with an unheroic past, and a heroine determined to snag the man she has loved for years. It is based in Brighton, a seaside resort town that was popular in the Regency and Victorian eras, and it was a lot of fun to craft a historical novel that captures the essence of a passionate summer romance. The third book in the series (which has also not yet named) features a hero who has been charged with murder, and the heroine he tricks into marriage so she can't testify against him. 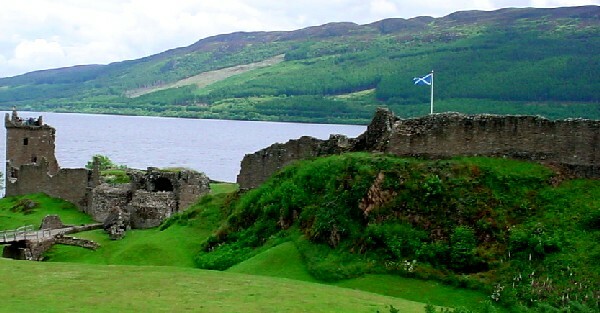 While darker in content, I can tell you that this current work in progress is proving almost as much fun to write as WHAT HAPPENS IN SCOTLAND. 3. Comments are open through Saturday, March 23, 10 pm in Hawaii. I'll post the winner on Sunday, March 24. To learn more about Jennifer and her books, check out her website at jenmcquiston.com. - Rhonda Penders from The Wild Rose Press (at this link) for donating 200 books in October 2010. Her generous gift took my six-month-old blog to a new level. I also appreciate the readers, authors, publishers, and publicists who gave me the opportunity to share my voice in Romanceland. This anniversary brings me to a crossroad. As my blog grew, so did my inbox. Keeping up with my inbox has been a challenge while my husband has been away in Korea. And the biggest challenge is yet to come in July - we are moving to Baltimore for my husband's next assignment. I am sad to leave Hawaii but look forward to the new opportunities on the East Coast. To facilitate the move, I am taking a six month break from SOS Aloha. My last post will be April 1. Of course I want to keep my big toe in Romanceland, so I will be a guest blogger with Mary Gramlich at marygramlich.blogspot.com. This gives me more time to review books while herding my kids to our new home. I will still post pictures on ALOHA ON MY MIND (at this link) even after I move as I plan to take the Aloha Spirit with me. 1. Would you like to live in another city? 3. Comments are open through Saturday, March 9, 10 pm in Hawaii. I'll post the winner on Sunday, March 10. The end of the 1700s was marked by increased visits to the Hawaiian Islands by European explorers. With their trade ships, warships, cannon, and military experience, the foreigners were considered assets by the warring chiefs. Kamehameha was particularly astute on this point and took captive two young seamen, John Young (Lancaster, England) and Isaac Davis (Pembrokeshire, Wales). Young and Davis proved their courage and loyalty in battle and became close, trusted lieutenants to Kamehameha, aiding in his rise to power. Their relationship lasted far beyond the battlefield and into civilian life, with Young eventually becoming governor on the Island of Hawai'i, and Davis on the island of O'ahu. In honor of St. David's Day, I share my pictures of Welsh Castles cared by CADW, the guardian of Welsh heritage (at this link). Caerphilly Castle, guarding a town known for its cheese. What do you know about Wales? One randomly selected commenter wins a book choice from my convention stash. This giveaway is open to all readers. Comments are open through Saturday, March 2, 10 pm in Hawaii. I'll post the winner on Sunday, March 3.